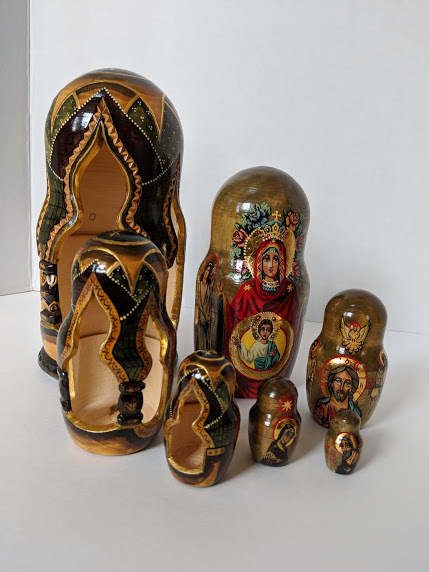 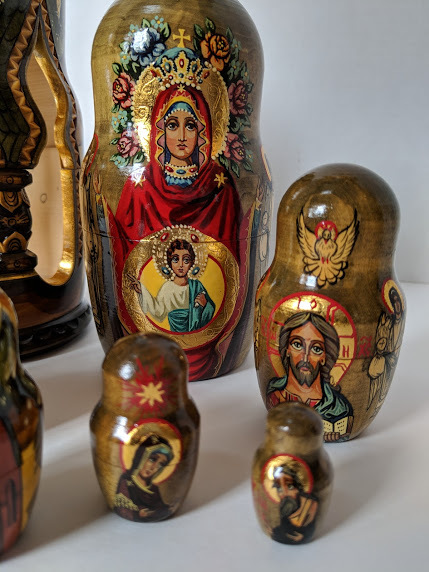 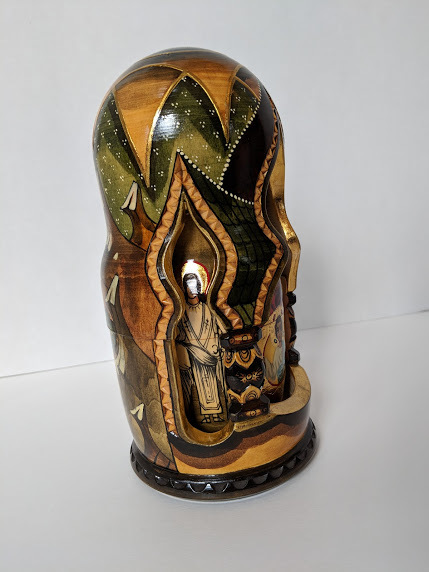 I purchased this lovely 7 piece Russian Nesting Doll set at a thrift store and was hoping to get an idea of its value and history. 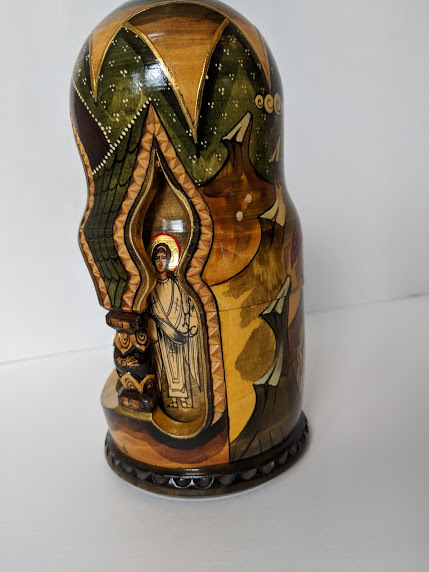 It has cathedral shaped cut outs and religious icons painted on the surface. 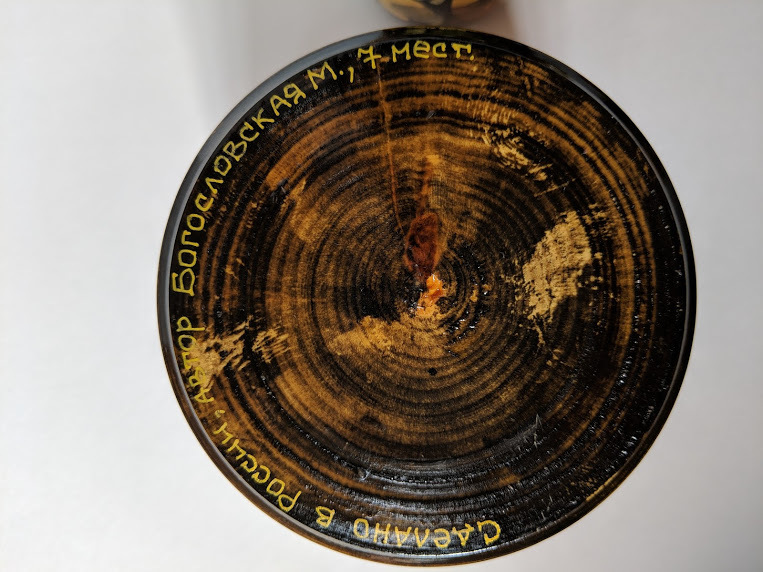 There's Russian writing on the bottom. 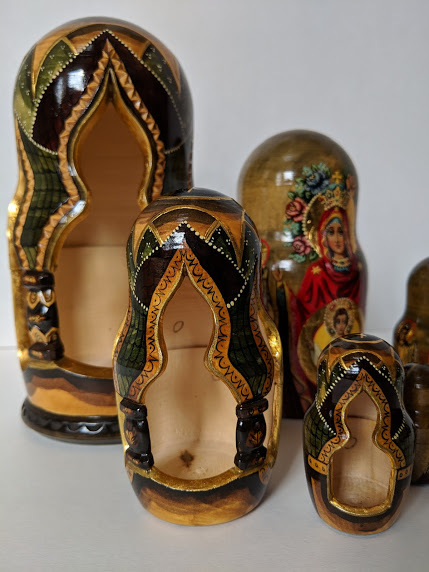 The largest is 8.25" tall, the smallest is 1.25" tall. 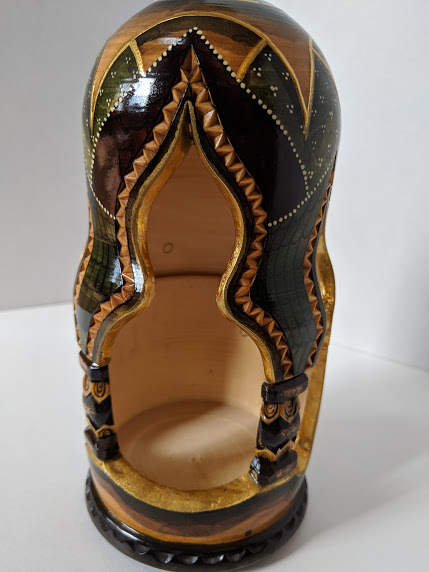 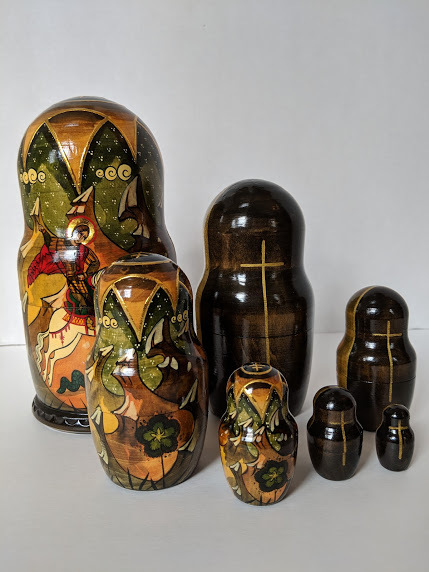 I purchased this lovely 7 piece Russian Nesting Doll set at a thrift store and was hoping to get an idea of its worth. 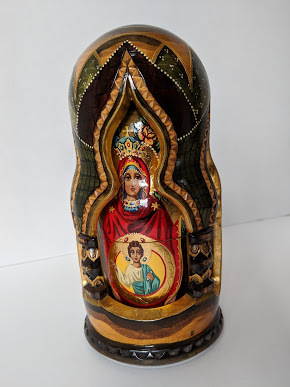 It has cathedral shaped cut outs and religious icons painted on the surface. 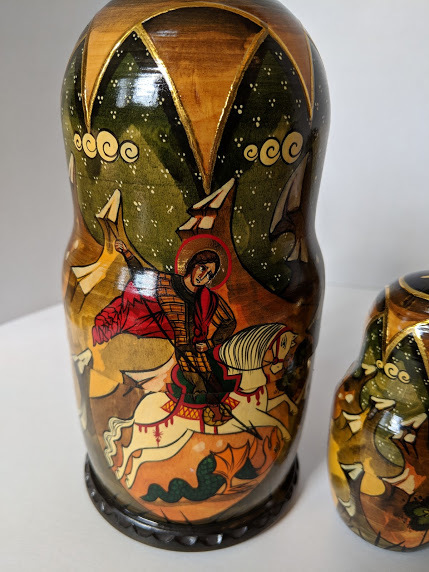 There's Russian writing on the bottom.